These General Terms and Conditions (“Terms“) apply for all sales and deliveries of the company Amphasys AG, CH-6039 Root D4, Switzerland (“Amphasys”). These Terms shall be deemed to be an integral part of all contracts of sale entered into by the Customer (“Customer”). They shall also apply on all future relations between the parties, even if not agreed upon expressly. If, with an enquiry or an order, other Customer’s conditions are made known, these are hereby not recognised. All details contained in offers, leaflets, drawings and photographs etc. are based on the specifications that are valid at the time of the offer being made. Such details are intended to serve merely for closer orientation and are in no way intended to be understood as guaranteed features or properties of the Amphasys products in question. The Customer makes use of such data and information at his own risk. At any time prior to delivery Amphasys products are subject to alterations and modifications in respect of construction and design that in no way impair the correct functioning of the product or the application intended by the Customer at the time the agreement was entered into. Such modifications do not represent cause for complaint or entitle the Customer to withdraw from the agreement. Our quotations are valid for a period of 30 days from the day of the quotation if no other term is shown. Prices for repeat orders are non-binding. Your orders are legally validated by our confirmation, whose content is solely definitive for the contractual relationship. Telephone or oral agreements and arrangements with our representatives require our written confirmation for legal validity. Annulment or alteration of orders following their acceptance is subject to our written consent. Parts already manufactured or undergoing manufacture and tools made especially to fulfil an order will be invoiced by Amphasys. Final acceptance is the Customer’s responsibility and all relevant tests must be carried out by the Customer to ensure that the goods meet any quality specifications and are fit for the purpose described in the order. In the event of the goods proving unsatisfactory for whatever reason, Amphasys must be notified, in writing, within 14 days of the goods arriving at the delivery address. The goods must be retained for inspection unless Amphasys notifies otherwise, and if requested by Amphasys, an adequate sample of the unsatisfactory goods must be supplied for evaluation. If the Customer fails to notify Amphasys in time, the goods shall be deemed to have been accepted by the Customer as being in good condition and in accordance with the contract. Our prices are Free Carrier CH-6039 Root D4 (FCA; Incoterms 2010), exclusive customs duties, taxes (federal, state, local), and any other charges freight, postage, packing, and insurance, also in the case of partial deliveries. Customs duties, taxes and any other charges are for the account of the Customer and the Customer will pay or reimburse any such expenses which Amphasys is required to pay. Prices may rise, if the delivery is postponed due to reasons caused by the Customer if manufacturing conditions have changed e.g. through increases in wage, raw material prices and other costs. Our delivery time notifications are made from best estimates, under consideration of our respective delivery situation and production capacities, are approximate only and shall not form part of the contract. Insofar as deliveries are not ex stock, delivery periods must be individually agreed, whereby our written confirmation is decisive. Delay in delivery through circumstances beyond our control, such as strike, fire, raw materials shortages or other operational disruption, which render the processing of accepted orders impossible or significantly hindered, entitle Amphasys to extend the delivery period by the duration of the delay. A delay in delivery does not entitle the Customer to refuse acceptance of the goods, to withdraw from the contract and/or to claim any form of compensation. Amphasys is entitled to effect part deliveries and to invoice for these separately. In the case of on-call orders, not called up within 3 months, Amphasys reserves the right to insist on immediate receipt or to withdraw from the contract. In both instances a warning is necessary. Any dates quoted by Amphasys for the delivery of the goods are approximate only and shall not form part of the contract and the Customer acknowledges that in the performance expected of Amphasys no regard has been paid to any quoted delivery dates. With the transfer of goods by FCA from Amphasys facilities in CH-6039 Root D4, Switzerland, to the Customer, forwarding agent, carrier or other person charged with the processing the shipment – also under CPT, DAP or similar contractual clauses – the risk passes to the Customer. If the goods are announced as being ready for dispatch and the dispatch is delayed for reasons beyond the control of Amphasys, Amphasys reserves the right but not the obligation to decide on all suitable measures to preserve the goods at the Customer’s cost and the risk in the goods shall pass to the Customer and delivery shall be deemed to have taken place. The purchase price without any deduction and free of expenses or other costs is due according to the order confirmation from Amphasys. Non-compliance with the payment period constitutes the Customer’s default, without a reminder being necessary. In the case of delayed payment, interest is charged at the normal bank interest rate for current account overdrafts. Discounting and redemption fees, resulting from payment by bill of exchange, cheque or other payment orders are chargeable to the Customer. Bills of exchange and cheques are only considered as payment after their redemption. If a Customer does not comply with their liability to pay or if we become aware of circumstances that place his creditworthiness in question, all residual claims immediately become payable. Amphasys has the right to withdraw from the contract or to demand securities or prepayment for further deliveries. Costs arising from the collection of liabilities are to be paid by the Customer. The non-delivery of insignificant parts of an order or any claims under the Terms of the warranty vis-à-vis Amphasys do not entitle the Customer to postpone or withhold due payments. In the event of delay of acceptance on the part of the Customer, the entire purchase price or the remainder thereof becomes due for immediate payment from here. The Customer is expressly prohibited from setting off payment against counter claims unless such counter claim has been recognised by Amphasys or has been legally established. Goods delivered remain our property until the payment of the full purchase price and other receivables from previous deliveries. They may not be pledged or have their ownership transferred. If the delivered goods are combined with other items, then the Customer relinquishes to us his ownership or, respectively, co-ownership of the new object immediately upon its creation. If the Customer sells the delivered goods, he relinquishes all outstanding claims with all additional rights at the moment of their creation to Amphasys until payment is made in full. The Customer herewith empowers Amphasys to have the reservation of property recorded in the appropriate official register at the expense of the Customer. Exporting the products to other member states of the EC or to countries outside the EC other than Switzerland requires the written consent of Amphasys to ensure that the products satisfy current technical conditions in the target country. Amphasys hereby warrants that the Products delivered under these Terms will be free from defects in material and workmanship. The products are warranted to the original Customer for a period of one (1) year from the original delivery date (i.e. date of shipment leaving the premises of Amphasys). Warranty coverage is conditioned upon Customer furnishing Amphasys with adequate written proof of the original purchase date. The warranty is void if: (i) defects in materials or workmanship or damages result from repairs or alterations which have been made or attempted other than by Amphasys; (ii) the damage is due to improper use, improper product integration or improper maintenance including failure to upgrade to the supported software versions, (iii) attempt of disassembling and (iv) disassembling of the product. Defects of a product subject to warranty according to these Terms will be repaired when the complete product is returned, DDP place of destination (Delivered Duty Paid) to Amphasys or an authorized service center. Other than the DDP requirement, no charge will be made for repairs covered by this warranty. In agreement with Amphasys, the Customer can carry out the repair himself, with Amphasys providing the necessary parts. The warranty may also be fulfilled by a replacement delivery or elimination of the fault. The above is the only warranty of any kind, either expressed or implied, including but not limited to the implied warranties of merchantability and fitness for a particular purpose that is made by Amphasys for the Products. No oral or written information or advice given by Amphasys shall create a warranty or in any way increase the scope of this warranty. All rights to products, in particular trademark rights and copyright, such as publication, reproduction, processing and exploitation rights, remain the property of Amphasys and are not affected by the contract at hand. Products are distributed through the worldwide registered and protected word and image trademark “Amphasys”. The Customer receives no rights to the brand. Brand rights, in particular trademark rights and copyright, such as publication, reproduction, processing and exploitation rights remain the exclusive property of Amphasys and are not affected by the contract at hand. Any and every modification of the trade name is expressly prohibited. In particular, no logos or name labels may be removed, obscured or otherwise altered on any Amphasys product or documentation. The Amphasys patterns and logos are to be used exclusively. All rights to the intellectual property associated with the goods remain the property of Amphasys. The Customer agrees not to reverse engineer or create derivative works of the goods. It is a strict condition of sale that no replica be made of the goods whether by electroforming, casting, embossing, injection moulding or by any other means into any material including, but not limited to, aluminium, nickel, glass, quartz or plastic. Amphasys’s liability arising out of these Terms shall not exceed the price paid by the Customer for the product concerned. In no event shall Amphasys be liable for costs of procurement of substitute goods by anyone. 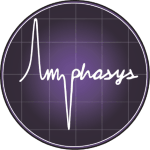 In no event shall Amphasys be liable to the Customer or any other entity for any special, consequently, incidental, or indirect damages or lost profits, however caused, whether for breach of contract, negligence or otherwise, and whether or not Amphasys has been advised of the possibility of such damage. These limitations shall not apply in case of wilful intent or gross negligence by the Amphasys. In order to provide information, products and services we require personal data from our customer contacts. Personal information that is disclosed by the customer to Amphasys by any means may be stored and processed according to the applicable data protection laws and within the ambit of a professional customer relationship management. These Terms shall be governed by and construed under the laws of Switzerland, to the exclusion of the UN convention on Contracts for International Sale of Goods. All disputes arising out or in connection with these Terms shall be submitted to the exclusive jurisdiction of the court with jurisdiction for Lucerne, LU Switzerland. If a preceding agreement is annulled by written agreement or for other reasons become legally ineffective, all other agreements still remain valid. In place of the legally ineffective provision, an equivalent contractual interpretation applies as an allowable and valid provision. All legal relationships between Amphasys and the Customer are subject exclusively to Swiss law, with the exception of the unified trade laws of the Hague convention and the Vienna UN convention. All changes or amendments to these Terms together with any contradictory or supplementary agreements must be made in writing and signed by Amphasys.